A collectable prop has a couple categories like for instance a prop that was used in a movie is called a Movie prop, a prop used in a movie and is identifiable on screen is a Hero prop, a prop tat replicats a screen used prop is called a replica. Many companies make the replica of the screen used props like the Noble Collection. Dont be confused by screen used and hero, the Hero prop is always of the highest quality and the movie props and screen used props are usually made to suit the scene and may not be very detailed. 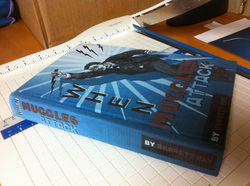 There is also stunt props that are made from rubber or foam to safe guard the stunt people from injury. So while you are looking for props either from the movie directly or replicas keep in mind there are several levels of props used on the movie and there prices will vary depending on the use and quality. Wooden replica wands like Ron's wand from the first two movies are sometimes easy enough to replicate with the simple lines. Other wands can pose a bit more of a problem. The picture to the left is the Ron Weasley wand I made on a lathe sitting next to a beater bat. Pictures to the left here is the second matching Ron Weasley wand I made then repaired with Spellotape to look like the one that was broken in Chamber of Secrets. 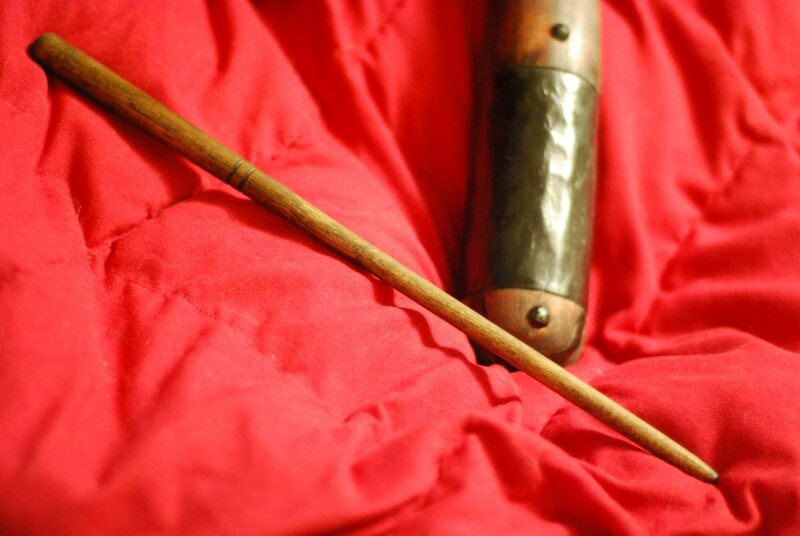 Its a fairly easy wand to make and looks good on display. Wands like this are not mass replicated yet but with the popularity of the movie they will most likely be done as a special release on day. Here are some repro spine candles standing over a foot tall and real candles with a wick are really cool. You cand find them on etsy.com sellers name TheOneLifeRider makes and sells these, very cool. 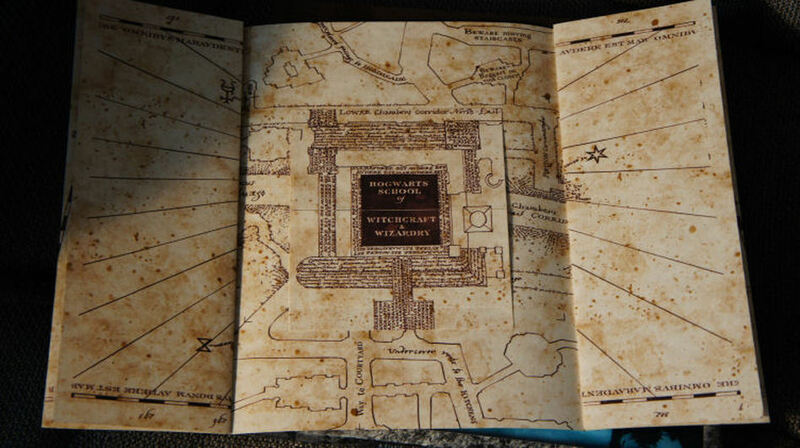 The book comes packed with information and replica props such as the Marauder's Map, Proclamations and many others. Here is a example of a custom replica prop. 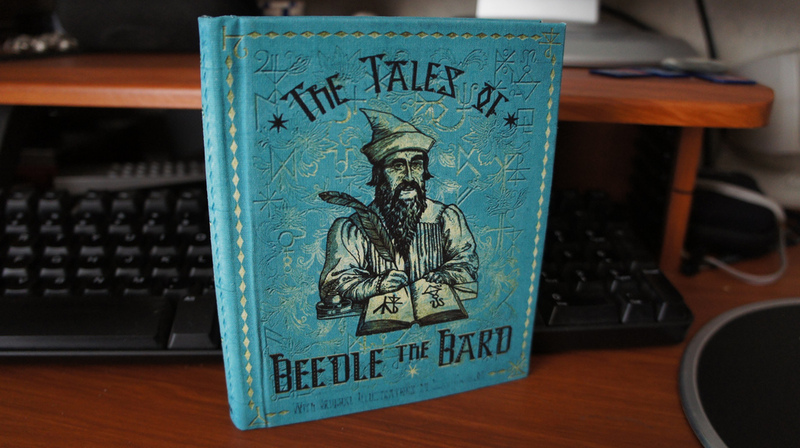 This is the Tales of Beedle the Bard in hard cover bearing the art work like in the movie. And another example of a custom replica prop is the When Muggles Attack book. Websites like www.thereplicapropforum.com have allot of talented people on there that replicate stuff from movies you can buy in any store and they usually share there work for free in most cases so you can have something special too but make sure you thank them. 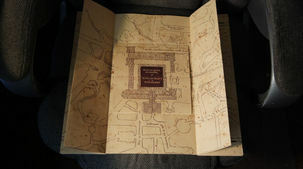 Here is a cool prop replica of the Advanced Potion Making book. There is only one way to get one of these and thats to make it. visit therpf.com and look for the free paper props section and you can find it in there. This is my copy and while it looks true to the film the inside is just a plain old boring book (lol) so its a shelf prop and can not be examined. 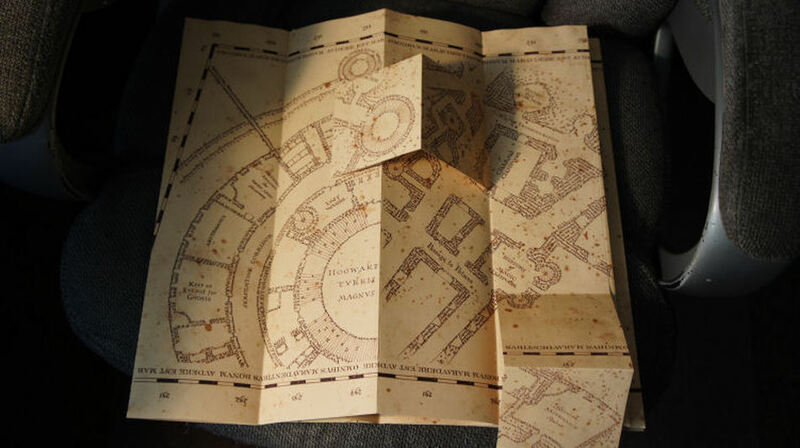 The next collectable we will go over is the Marauder's Map, this map given to Harry in Prisoner of Azkaban by the Weasley twins is a full size replica of the prop. The replica is made by Noble Collection. 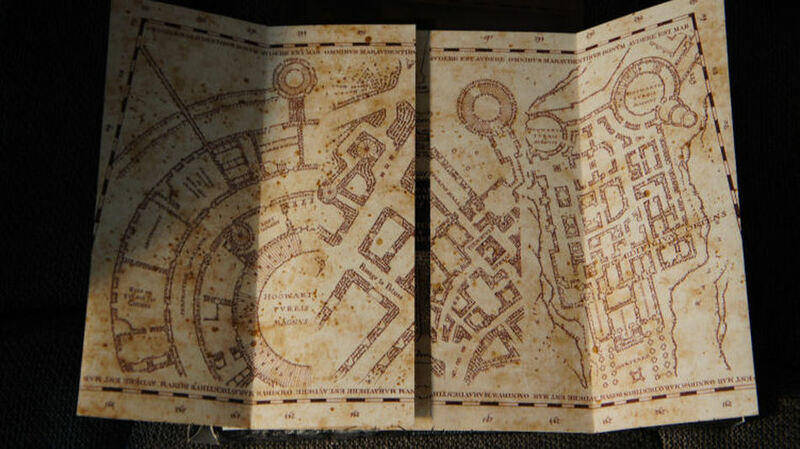 Through the movies the map has been changed a bit to meet the needs of the scenes which means you wont always find on the replica prop map what you see on the screen. This is one of the nicer paper replica props sold to the public and very interesting to look around in, other than the back there isnt allot of logos and stuff mucking up the design. As you start to open this map you soon realize you need some room as it is huge, I opted for the simple method of sticking with the folds for the pictures. This version of Harry's wand was seen in Prisoner of Azkaban and stayed this design up until the last movie Harry Potter and the Deathly Hallows Part 2. Noble Collection makes this prop replica, it is made out of cast resin and has a thin metal rod running down the shaft, while these are very accurate wands they are not toys and should be treated with care as resin can be a tad fragile but as long as you don't drop it or smack a wall with it you can get allot of fun wand waving play time with it as though tests done by us they do hold up to vigorous wand waving. 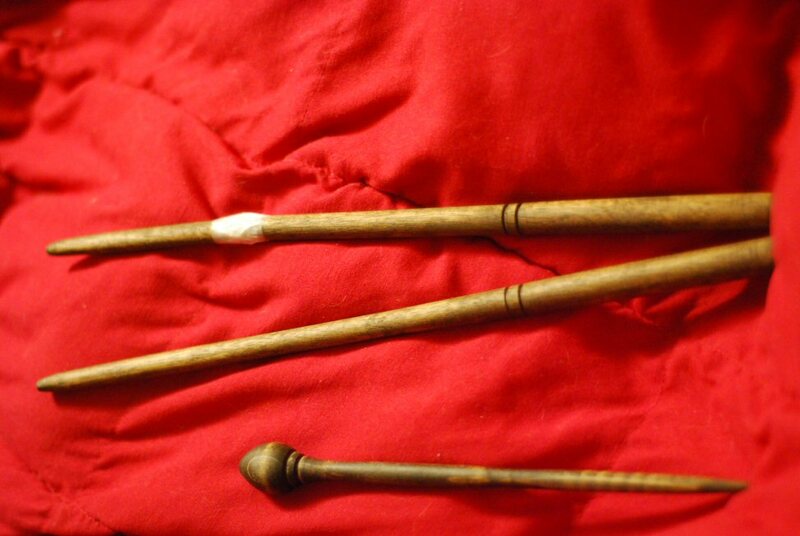 The first wands like this one had no metal rod in them, later the metal rod was added to make it less likely to snap. 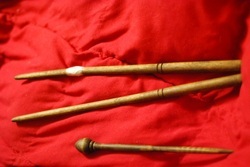 You can find these wands on the noble collection website (www.noblecollection.com) or through the WBShop. The earlier version from Sorcerer's Stone and Chamber of Secrets will be posted below, it was a much simpler design. 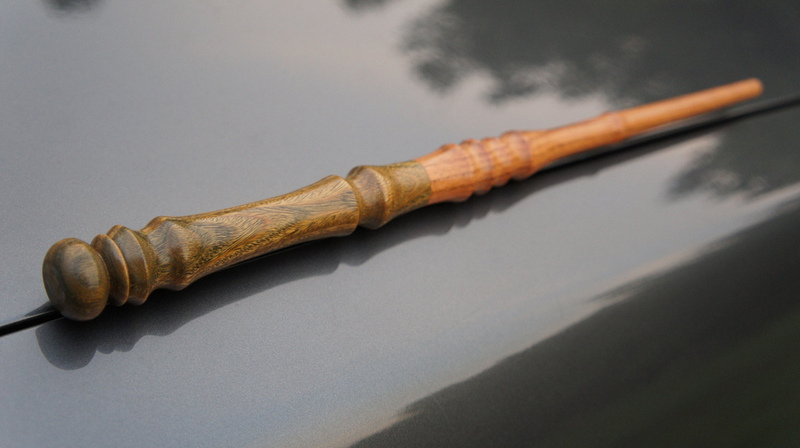 A really high quality wood wand made by WoodRiver WoodCrafts is a good example of custom wand made to be used without the fear or breaking the resin since they are made from solid wood. Below are three images of the Locket from the cave which is not to be confused with the Slytherin locket which was the real Horcrux. 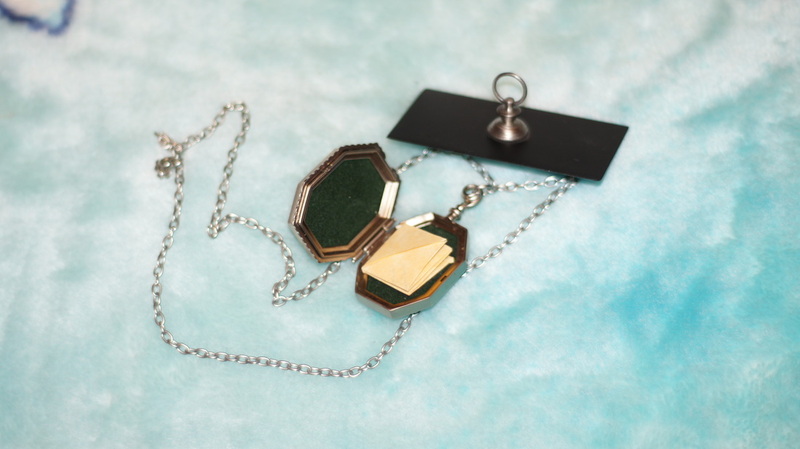 This locket was a fake switched with the real Horcrux and left with a note for Voldemort to read one day. This was made by Noble collection but at the date of uploading these pictures Noble does not offer this version currently and it is unknown if they will in the future. The difference between the two lockets are this one is missing the snake "S" in jewels on the front but this version comes with a nicely screen accurate note from R.A.B. to the Dark Lord while the real Horcrux does not come with any notes. You can click on the images to see a larger view. A replica of the basilisk fang made from a mold of the original movie prop is another custom replica prop. The difference between this an lets say a wooden wand made to look like a wand from the movie is that this fang was pulled from a mold that was made from a real prop so value and collect-ability wise this is just short of having the real thing which is pretty good. 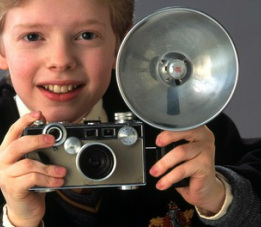 Th camera known as the Collin Creavey camera is one of those movie props that the studio did not make and used an existing working item for the prop. The camera is a Argus C3 also known as the brick camera. It is a 35mm camera that uses two view finders to align the focus and works very well indeed. Thes can be found on sites like ebay for around $15.00 or more with the flash but one thing to note if you are looking for a exact camera to match is the black switch on the front of the camera that sets the shutter on some they are chrome but Collins is black, could be easy to fix with paint if you are just displaying it but if you plan on using it paint might wear off so while your searching for that special camera keep in mind you want the black switch, you can see the switch in the picture to the left between his ring and middle finger. Here is a good example of the silver switch and the black switch on two of the cameras I have. 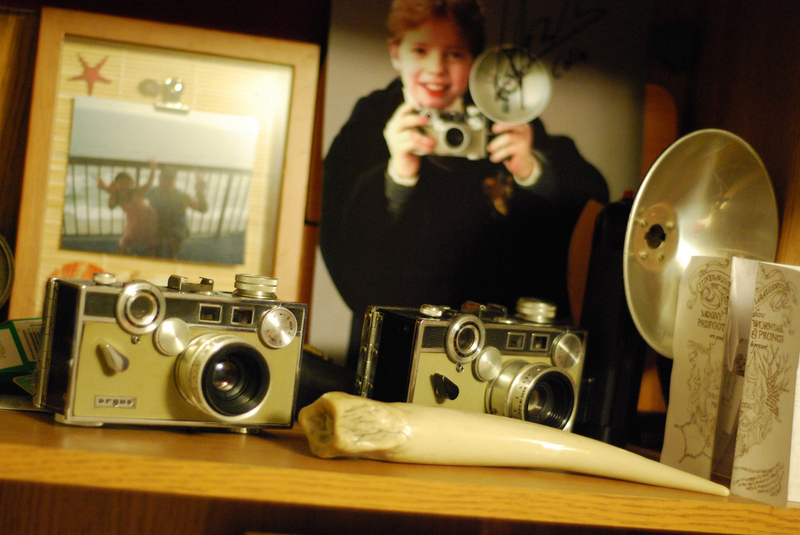 Note the movie used Prop fang laying in front of them for the picture and the signed picture of Collin with the camera. Letter props are always a cool thing to have. 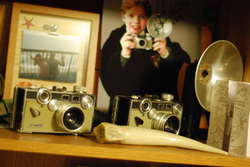 The replicas are usually real inexpensive and they are easy to display as seen here in this picture of the Howler simply displayed on the wall in a picture frame with a beater bat leaning on the wall next to it just for the picture. or visit www.thereplicapropforum.com and search that site you can find tons of stuff. Now that we have seen a few different style props from real to custom lets talk about props and the lingo for why they are called what they are. First we have the Hero prop: A Hero prop is a prop that was actually used in the movie and can be seen on screen and easily identifiable. Example would be when the camera is panning across Dumbledores wand or the letter Harry reads from R.A.B. if you were to get the actual one used in that scene you would have a Hero prop. Hero props are usually the best made prop for camera close ups and such then you have the screen used movie prop which will cover any prop used on screen such as the stunt props and multiple props like the silverware or anything where there were allot of them made and some may not have had as much attention to detail since there is no close up. Be very careful when buying a movie prop to check it out, there is allot of people who believe a Hero prop is just a really well made prop that functions like a Star Trek tricorder some sellers would call it a hero prop if the lights worked but actually made in someones garage (custom) and never actually in any movie. This is totally wrong but you may see something for sale that says Hero prop so before buying ask if it was actually used in the movie and ask for some sort of proof or at the very least a written guarantee that if its a fake you can return it for a refund which gives you a time period to check into it more without being stuck with it. So we have the Hero Prop, the Screen used movie prop and next would be the replica which sort of speaks for itself. You have Licensed and Custom or knock off which is not licensed. Licensed replicas are usually made from exact specifications as the real prop where the production company supplies the vendor with the item to copy or specs to work from. 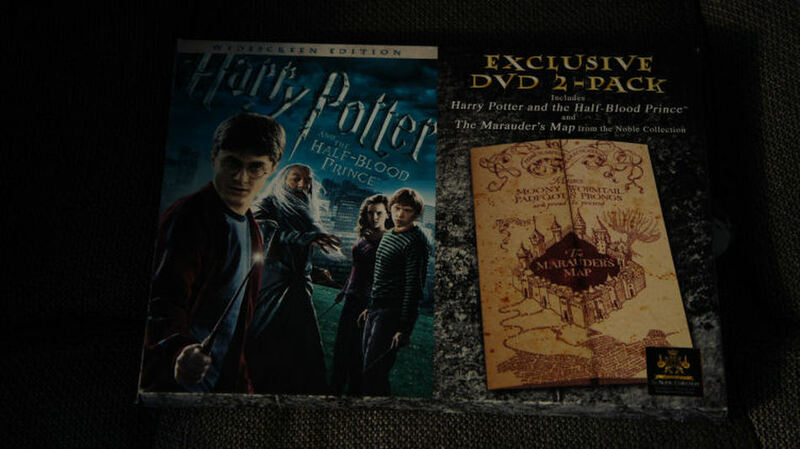 Noble Collection would be an example of a Licensed replica prop manufacture for multiple movies not just Harry Potter. Customs is usually made by fans and in allot of cases they look true to the movie but are not really ever sold in any quantity if any at all. Knock offs usually come from Countries that cant be affected by copyright violations and copy other replica props, they 99.9% of the time make them with inferior materials and spend little time on finish work, these knock offs can bee very inexpensive and usually for a reason (you get what you pay for) as there are tons of people that have come across these including myself and they simply break very easily. To get a licensed wand and other nice replicas visit www.noblecollection.com or the wbshop.com and you will get a good quality product.